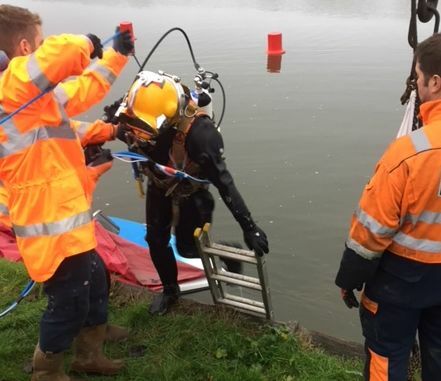 Thankyou to Steve for sending these pictures from this morning in Wilsham Road. This week’s Abingdon Herald has an account of the car crash at 1 a.m on Sunday morning. The speeding car first hit a parked vehicle and then careered into the River Thames. Both driver and passenger were able to get out. 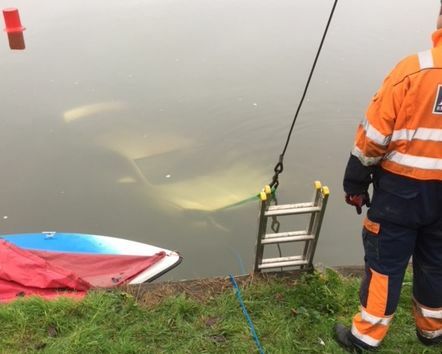 This morning the car was rescued from the River Thames. 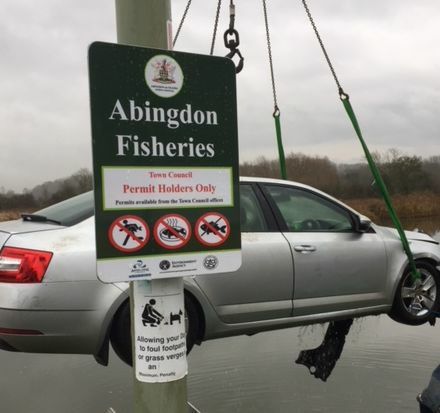 The car was towed towards more shallow water, and then winched out. 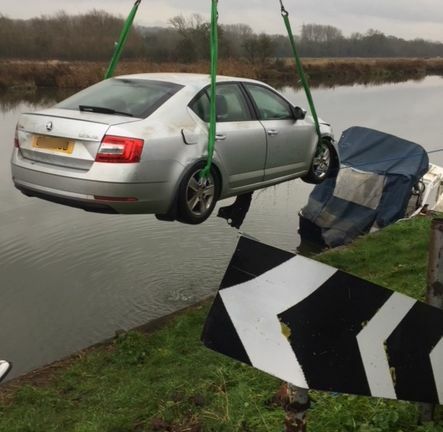 It was a Skoda Octavia sold in 2018. Mr Gibson is to be applauded for his response to this incident. Well done, sir! Surely cheaper to use a regular car wash? Was the driver practicing for a Darwin Award ? Driving into the river is my worst nightmare. I seriously thought twice about moving to Abingdon precisely because of this.